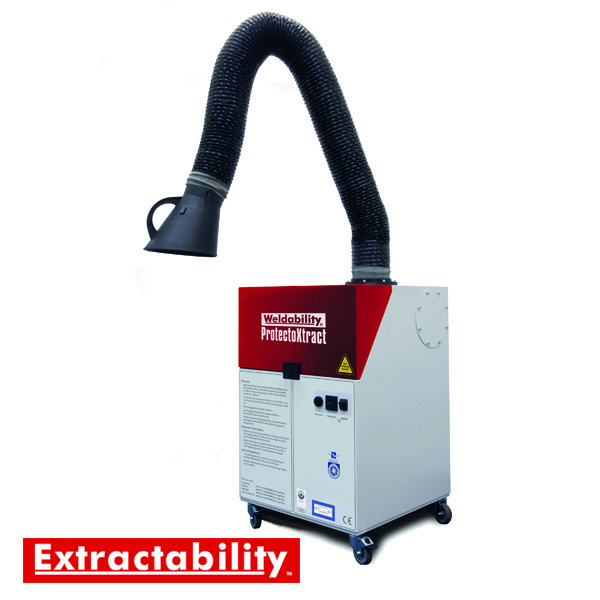 ProtectoXtract is a BGIA approved mobile high-vacuum extraction system for filtration of particulate fumes, dusts and some gases. The ProtectoXtract is a mobile unit, weighing only 80kg and is supplied on swivel casters for manoeuvrability. Operates from a 110v/230v mains input supply. ProtectoXtract is provided with a 3m positional cantilever arm and canopy, designed for use in a welding bay, workshop or garage. The ProtectoXtract uses a 5-stage filtration system, with replaceable filters and is quiet in operation (<68dB[A]). 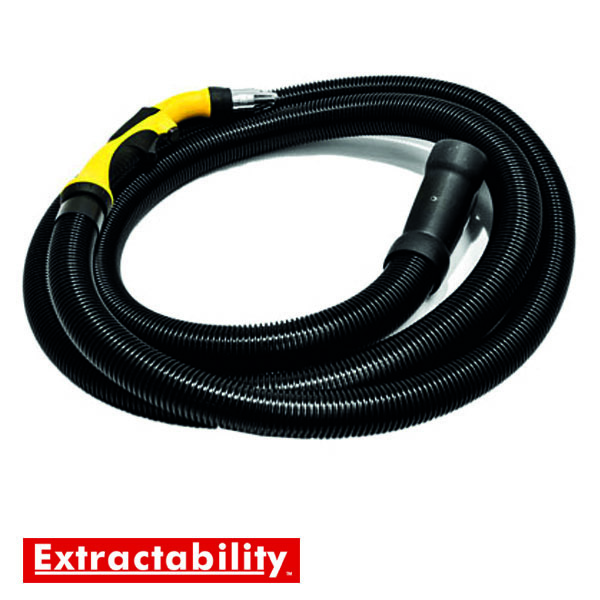 The ProtectoXtract is supplied with 3m suction arm, hose with internal joints, filter and provides air movement of 2500 m3/h. When used with processes that produce spatter and/or grinding sparks the optional ProtectoSpark (EXT978013) MUST be used. Compliant with DIN EN ISO 15012-1, so is suitable for category W3 stainless welding fumes (>30% Ni+Cr). 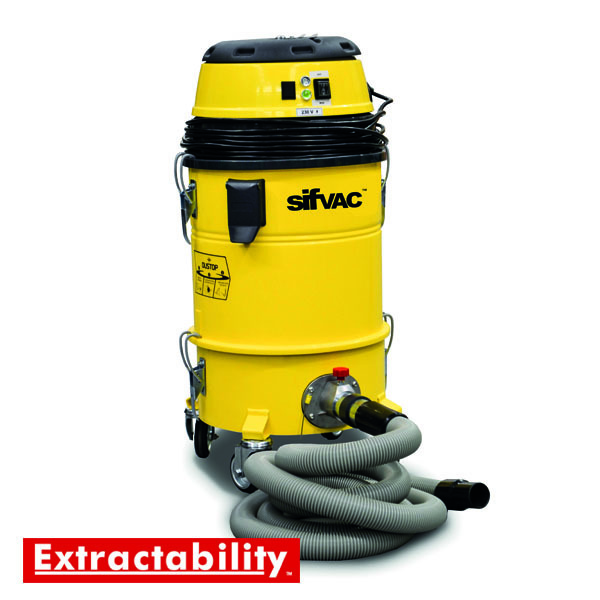 The SifVac high-vacuum industrial system can deliver multiple forms of mobile extraction, including on-torch. It is an ideal modular unit that can be modi ed or purpose-built for speci c applications to support the extraction of fumes and dust directly from the point of origin. When used in combination with the SifGun Fume Extraction MIG Torch, the extraction of MIG welding fumes and ltration of particles maximises the safety of the operator by eliminating fumes at source and before they enter the breathing zone. Multiple configurations are available including a twin motor option for double operation and a brushless turbine motor for a continuous-rated, maintenance-free solution. Main features include an M-class lter with high- ltration e ciency and choice of a 15L or 20L detachable dust collection chamber. The ‘Dust Stop’ semi-automatic cleaning system allows the operator to clean the lter with ease, by simply lifting the ap on the chamber and all models include castors for easy manoeuvrability. 110v or 230v Units are available and the optional HD Brush Kit means the SifVac can also be used as a vacuum cleaner. SIFGun is a range of balanced, ergonomic MIG torches designed to deliver high-uptime performance. SIFGun uses high quality parts and the popular BND style of front-end spares to provide a high-duty air-cooled operation. Durable microswitch trigger system, with easy trigger replacement. Available in 200A, 300A & 400A with 3m, 4m or 5m length cable assemblies. 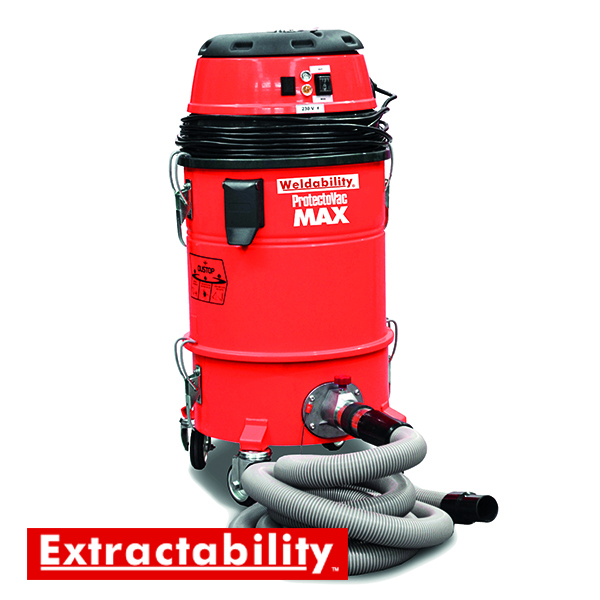 Protectoxtract Max is a high-vacuum industrial system can deliver multiple forms of mobile extraction, including on-torch. It is an ideal modular unit that can be modi ed or purpose-built for speci c applications to support the extraction of fumes and dust directly from the point of origin. When used in combination with the SifGun Fume Extraction MIG Torch, the extraction of MIG welding fumes and ltration of particles maximises the safety of the operator by eliminating fumes at source and before they enter the breathing zone.